The job announcement calendar was full for the Haley Administration. That has continued since Henry McMaster took over nearly a year ago. But there is also a population that votes with its feet. 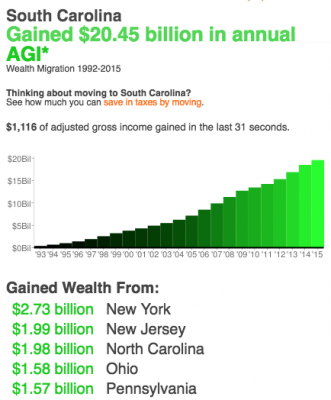 Looking at IRS data recently highlighted in the Wall Street Journal, where does the Palmetto State stand in wealth attraction? That’s a bit like the money competition among states. In the wealth game, South Carolina has to not only do well, but do well against our rivals, in attracting investment that could have gone to Georgia, North Carolina, or Alabama. In their book How Money Walks, authors Travis Brown and Dr. Arthur Laffer chart the flow of wealth from state to state. Which states are luring wealth, and which ones are losing it? The losers nationally are no surprise: the rust belt and the Northeast. The winners include South Carolina, which according to official IRS data, saw a wealth in-migration of $20.45 billion in annual Adjusted Gross Income (AGI) from 1992-2015. The wealth flowing into the Palmetto State came from states that included New York ($2.73 billion), New Jersey ($1.99 billion), Ohio ($1.58 billion) and Pennsylvania ($1.57 billion). But, South Carolina also drew $1.98 billion out of our neighboring state of North Carolina. Neither North Carolina nor Georgia drew any significant wealth away from South Carolina. North Carolina drew on many of the same states as South Carolina but added Virginia and California. Georgia included Michigan and Illinois. Drilling down a bit further, How Many Walks analyses individual South Carolina counties in wealth attraction. The big five were: Beaufort ($3.85 billion), Charleston ($3.28 billion), Horry ($3.01 billion), York ($2.15 billion) and Greenville ($1.85 billion). 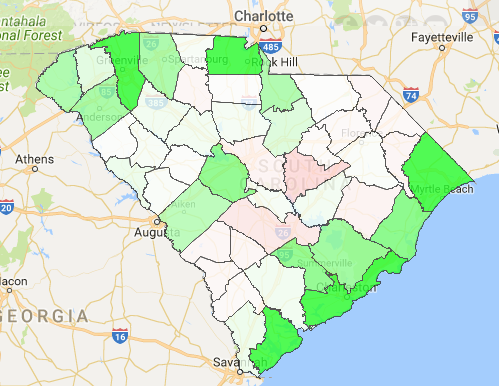 There was some transfer of wealth from one South Carolina county to another in this data, but most of the inflow was from out of state. Floridians seem to prefer Greenville, North Carolinians not surprisingly liked York, and New Yorkers moved money to Horry. Charleston and Beaufort were more of a blend, but Connecticut showed up uniquely. Here are two takeaways. First, on our competition with North Carolina. The most recent IRS data is from 2015 tax filings. North Carolina passed tax reform in 2013 that has been coming online bit by bit. For example, the former 6.9% corporate tax fell to 6% in 2014 and 5% in 2015. 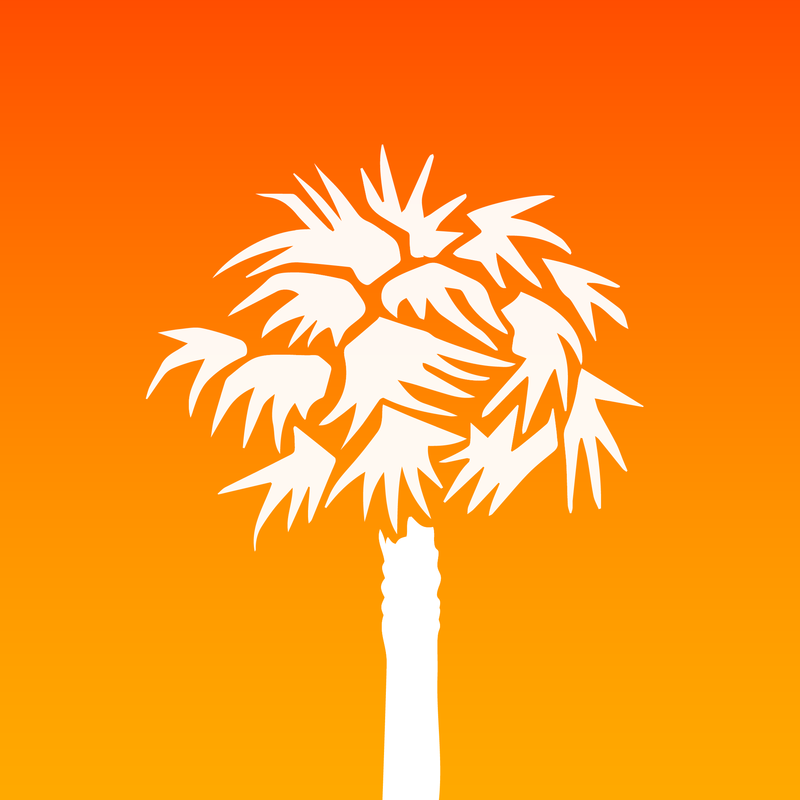 So, there is a lag in the status of the South Carolina versus North Carolina competition. If we fail to reform our code, we will fall further behind. Money may not walk from here to there, but wealth that could have come here would go there. 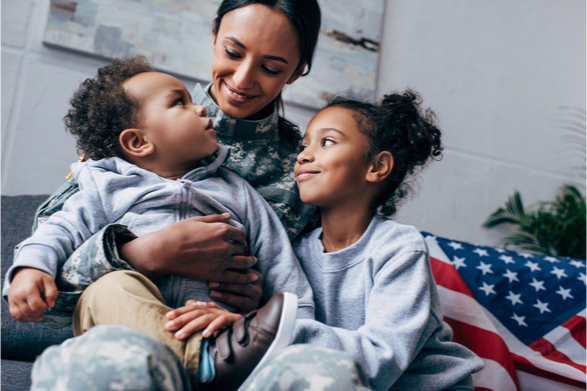 Palmetto Promise Institute is the only statewide organization that has proposed specific fixes that will keep us in the race with The Tarheel State. On the county versus county competition, How Money Walks provides strong support for previous PPI research on intrastate competition. Our Enterprise Friendly Cities ranking shows a top ten list dominated by the low-tax, economically vital cities in Beaufort, Greenville, and York Counties. 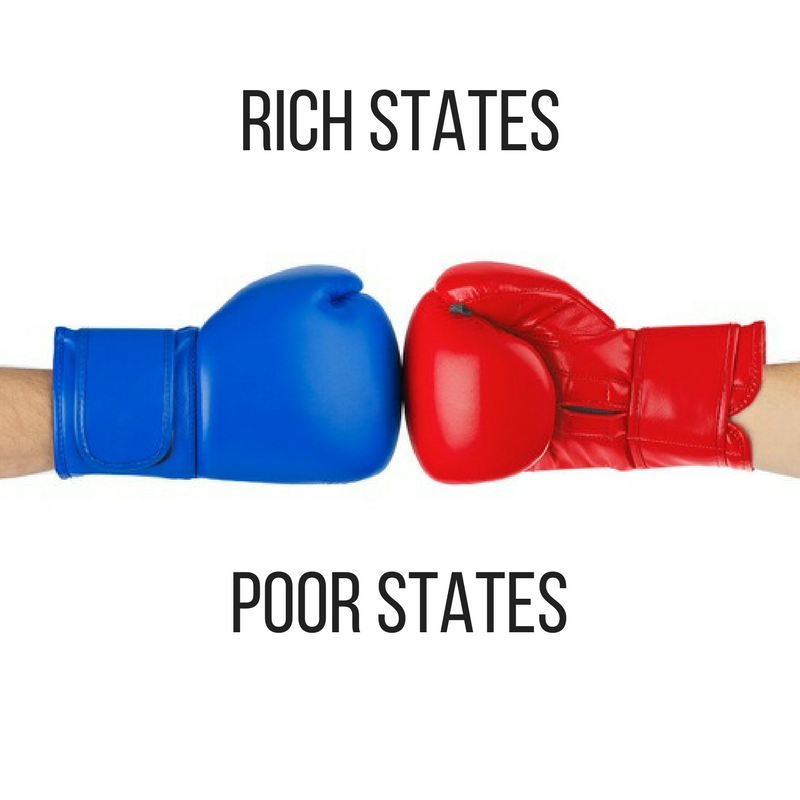 Tax policy is a local competition as well as a state to state one.